Here’s the truth the media isn’t telling you about. Rep Ilhan Omar is only a symptom of the Democratic Party’s move toward Antisemitism that has been happening for almost two decades, first appearing on Democratic/Liberal websites, The Huffington Post and The Daily Kos. The Durban conference was so anti-Semitic that U.S. Secretary of State Colin Powell walked out. BDS which grew from that anti-Semitic conference is anti-Semitic because it bases its attacks on fabricated tales of human rights violations, double standards, comparisons to apartheid South Africa, and false accusations of “war crimes.” This movement has just one purpose, to delegitimize Israel and to deny the Jewish people their right to self-determination. The founders and leaders of the BDS movement support a “one-state solution” that destroys Israel as the Jewish state. Both the U.S. State Department and Pope Francis have declared that denying that the Jews have the right to have their own homeland, is a form of anti-Semitism. Louis Farrakhan was justifiably criticized for calling Jews termites, but before Farrakhan, Hank Johnson (D-GA) used that phrase. At an event at the 2016 Democratic Convention Johnson, who once worried that too many people on the Island of Guam might tip it over, called Jewish people who live in disputed territories to “termites” that destroy homes. Johnson said during an event sponsored by the U.S. Campaign to End the Israeli Occupation, an anti-Israel organization that galvanizes supporters of the Boycott, Divestment, and Sanctions movement, or BDS. The event was not an official DNC one, but there was no similar event at the Republican Convention. After his comment caused an uproar, Johnson gave a half-hearted apology. He was sorry about offending but wasn’t sorry for saying it or even or recognized that it was anti-Semitic. @ADL_National Poor choice of words – apologies for offense. Point is settlement activity continues slowly undermine 2-state solution. The woman who was declared the future of the party New York’s 14th district consisting the eastern Bronx and parts of north-central Queens of elected Alexandria Ocasio-Cortez who became a media darling after she defeated incumbent Joe Crowley. Ocasio-Cortez claims that Israel is “occupying” Palestine, but at the same time admitted she didn’t know what she was talking about. She also said she was proud of Rep. Omar’s recent antisemitism. The reason why Rep. Omar’s apology wasn’t an apology was her comment about AIPAC lobbying is another anti-Semitic canard, that AIPAC is a powerful lobby group that needs to be looked at. Anti-Semites often complain about AIPAC being this huge monstrous lobby that controls Congress, but it’s not true. They can’t donate money directly to candidates and when it comes to lobbying, they are relatively tiny. Based on the 2017 Open Secrets data, AIPAC lobbying spending is tiny, doesn’t even make the top 100 lobbying organizations in America. In 2017 AIPAC spent only $3,402,651 in lobbying. Putting that in perspective the 100th biggest lobbyist, Alliance of Automobile Manufacturers spent $8,100,000 almost two and a half times that of AIPAC. As a 401(C)(4) nonprofit organization, AIPAC is not allowed to donate to individuals. What anti-Semites like Rep. Omar and AOC don’t understand the reason many in Congress support Israel. It is our only dependable ally in the region, it shares our values of freedom and democracy, Israel helps us with intelligence, strategy and weapons development in the war on terror. For example, Israel used to provide our military with satellite images of ISIS positions. But before they were used, we had to erase any Hebrew or any other indication s that they came from Israel because the Arab countries fighting wouldn’t take intelligence from Israel. In 2011 the DCCC published a petition looking for 100,000 signatures in support of Occupy Wall Street which had already been proven to be Antisemitic. President Obama and other Democrats also supported OWS. The winner in Michigan’s 13th district, Democrat Rashida Tlaib is another anti-Semitic freshman. After her primary win, she told “In These Times,” that she no longer believed in the two-state solution, “One state. It has to be one state.” This is a call for the destruction of Israel. Israel is a democracy where every citizen if any religion can vote. Rep. Tlaib proposes to load Israel with a few hundred thousand new Muslims so they can vote the Jewish state out of existence. James Clyburn (SC-6) who is part of the Democratic caucus leadership, shared a stage with Louis Farrakhan in 2011. After Jewish organizations criticized Clyburn taking part in an event with Farrakhan, the South Carolina Democrat brushed off their criticisms. Clyburn told “Final Call” — a Nation of Islam publication — that he was “not bothered in the least bit” by the Jewish objections. Notice that Delgado was emphasizing those darn anti-democratic joos? And the basics of what he was saying was a lie. In Israel, all citizens of Israel have the right to vote no matter what their background. 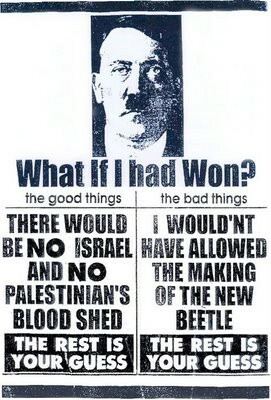 He forgot to mention that as soon as Israel pulled out of Gaza it became a terrorist base or the fact that at least twice Israel offered to give the Palestinians in Judea and Samaria about 98% of what they wanted (once during the Clinton presidency and the other during Bush #43) and both times their offer was refused. Democrats such as NY’s Kirstin Gillibrand protected anti-Semites in the Women’s March such as Linda Sarsour and Tamika Mallory. Despite that people finally realized what this site has been warning for two years and that the Weisenthal Center begged her to withdraw her support for the two anti-Semites, Gillibrand has not removed her support and has continued to speak at the Women’s Marches. Al Sharpton is a card-carrying anti-Semite who led two anti-Semitic pogroms in NYC. He was a regular visitor at the Obama White House, and Democrats fawned over Sharpton his 60th birthday gala in 2014. It was attended by Democrats like Chuck Schumer, Kirsten Gillibrand, and Jerold Nadler. More recently my friend Jazz Shaw reported at Hot Air that Al Sharpton has met “with a flurry of possible 2020 contenders including Sens. Kamala Harris (D-CA. ), Cory Booker (D.-N.J.), and Kirsten Gillibrand (D., N.Y.), and was planning to speak with Beto O’Rourke (D., Texas). The visits to kiss the Sharpton ring of hatred does not mean those candidates are anti-Semitic, it just means they condone Antisemitism. There are many Democrats in power who are either supporters of the anti-Semitic Louis Farrakhan (21 members of the Congressional Black Caucus) and fans of the anti-Semitic Linda Sarsour. Those who have shared platforms with Sarsour include Jerrold Nadler, Nydia Velasquez, Brad Sherman, Mike Quigley, Al Green, to name just a few. The President said Omar should resign or at least be removed from the foreign affairs committee and Mark Lander tweeted. Instead of trying to understand the reasons why President Trump felt Rep. Omar’s apology wasn’t (a position which I agree) liberals like Mark Lander were falsely trying to label Trump as being just as bad as Rep Omar–Nonsense! Let’s start with Soros. Now I will grant you that a senior member of the anti-Semitic Media Matters once called this reporter a Jew-Basher (on a Saturday when I am not online because of the Jewish Sabbath), any regular readers know I actively fight Antisemitism. I mention this because anyone who actually investigated the progressive sugar daddy would know Criticizing Soros Is NOT Anti-Semitic, Soros Is A Bad Dude. In fact, Soros has supported anti-Israel and anti-Semitic causes via his various progressive foundations. As for the “money” comment. Trump never said he wouldn’t take Jewish money. Part of his campaign was telling audiences that he would not be beholden to any special interest groups because, for the most part, he was funding his own campaign. At a December 2015 Republican Jewish Coalition meeting of wealthy donors, Trump teased the potential donors, saying “You’re not going to support me because I don’t want your money. If I wanted your money, I think I’d have a damned good chance. You know the money I have turned down?” And if you watch the video below you will realize he wasn’t teasing them because they were Jewish he was teasing them because they were rich donors (they laughed), and at the end of this short clip, he includes himself in the group. It’s surprising that the Trump haters didn’t blast the President for the joke he made at the beginning of his speech when commented that he was happy his daughter is now a Jew but complained that he can’t reach her on Saturday (it was funny). What’s really ironic that the same liberals and media who falsely claim President Trump uses anti-Semitic dog-whistles were silent when President Obama really used anti-Semitic trigger words. In a meeting with a hand-picked list of Jewish leaders, Lee Rosenberg of AIPAC questioned Obama’s statement comparing people who objected to the Iran deal with those who supported the invasion of Iraq because many anti-Semites claim the Jews pushed Bush into invading Iraq. Obama explained that Netanyahu supported the Iraq invasion (true), but he wasn’t the prime minister at the time. The president didn’t mention that the prime minister at the time Ariel Sharon strongly urged Bush not to invade because Sadaam was the only check on Iran. He correctly warned that if Saddam Hussein were deposed, a more dangerous Iran would soon become America’s biggest threat in the region. Obama also forgot to mention that his vice president Joe Biden, both of his secretaries of state Kerry and Clinton, and his biggest ally in the Senate Minority Leader Harry Reid all supported the invasion of Iraq in Congress and now support his flawed Iraq deal. The truth is that Antisemitism is a growing problem in America and until the media identifies and exposes the significant contributors to the hatred, despite where their personal politics are, it will continue metastisize and threaten our freedoms. First, they came for the Jews…..